How Do I Modify My Smog City Monster Brew? I hope you are all planning to join us at Smog City Brewing Company’s First Annual Monster Brew, Saturday, March 8th, 2014, from 7:30 AM to 2 PM hosted by our very own Jon Porter. See the main article about the logistics for the day. We’ll be brewing up a batch of Kölsch-based wort. Where it goes from there is up to you! We’re hoping to have as many variations on the theme as possible for upcoming events such as the Southern California Homebrew Fest, club meetings and summer party. The recipe for the wort is in the text box. About 2/3rds of the wort is Schill Kölsch Malt. From a maltster co-op based in Osthofen, near Köln, this malt is used by some of the brewpubs in that city to make their trademark ale. Kölsch malt has a light, sweet and extremely German flavor and aroma with a little bit of biscuit character. A bit of Pilsner and wheat malts round out the grain bill. Apart from that, the recipe is light-colored and minimally hopped. This gives YOU the opportunity to spice it up, using your own creativity as broadly as possible. The wort will have a starting gravity of 1.052, with 25 IBUs of bitterness and a color of about 6 SRM. A lot of different beers can be made out of this. With a bit of tweaking, you can make just about anything. Here are some ideas on what to do. 1) Pick a yeast. The wort comes unpitched, so at a minimum, you have to get some yeast for brewing day. As formulated, the wort will make an excellent Kölsch if you pitch with German Ale yeast such as White Labs WLP003, or Wyeast 1007. Use a German lager yeast if you want to make a Pils. Or you can go with an American Ale and make a blonde ale. Whatever style you go for, I suggest making at least a 1 quart starter a few days before the Monster brew. 3) Dry hop it. The recipe this year has a low level of Hallertauer finishing hops, but not enough for the citrusy American styles. You can go American for American Pale or Amber Ale, British hops for ESB, or you can go with Continental Noble hops for something like Saison. So, start whipping up your recipe now. Hope to see you on the 8th. 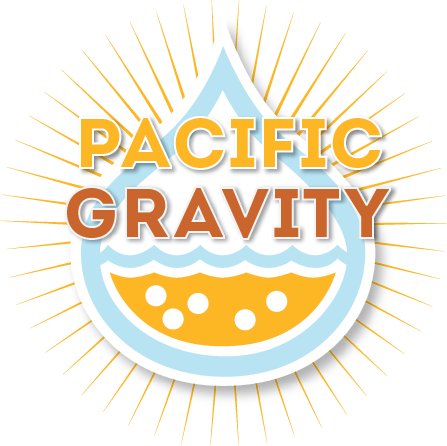 http://pacificgravity.com/wp-content/uploads/2015/01/pg_logo.png 0 0 Tad Johnston http://pacificgravity.com/wp-content/uploads/2015/01/pg_logo.png Tad Johnston2014-02-23 14:48:002014-02-23 14:48:00How Do I Modify My Smog City Monster Brew? Smog City Monster Brew March 8th Smog City Monster Brew Update!